300BC – Around 50 of these cabriolets based on the Amica were built. 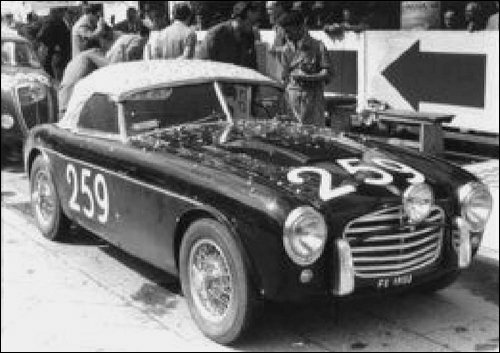 208S Coupé uses the V8 engine from the Fiat 8V with a body by Stabilimenti Farina. The design of Daina was again changed with the release of the Daina Sport, a two seat Coupé and the 1400 Gran Sport, a cabriolet. 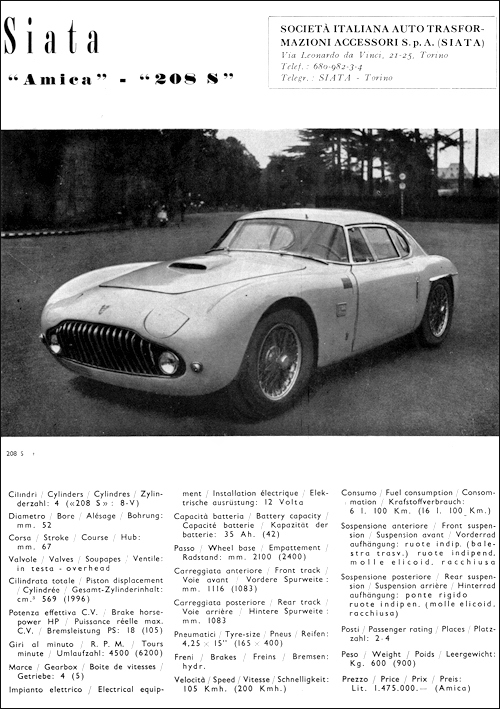 Both versions were again by Farina and used the 1400 mechanicals and engine, but in the Daina Sport the engine was increased to 1500cc and produced 75bhp. 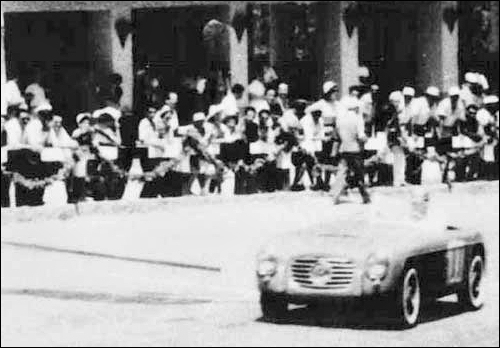 Ignazio Consiglio at Targa Florio.